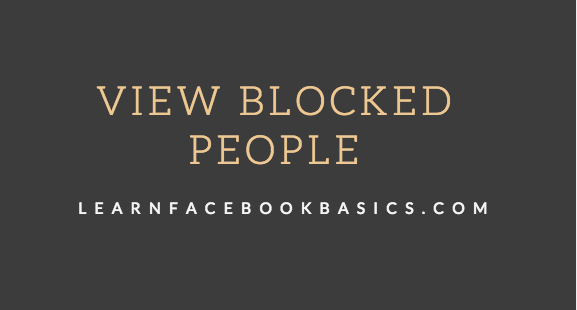 View My blocked list on Facebook - How to Unblock People & Facebook Friends: This article explains how to View or see your blocked list on Facebook easily. Sometimes, it's usually good to take a stroll down to your blocked list Zone and see who is on your Facebook blocked list. To view this list of blocked friends on Facebook, you have to follow the steps outlined below in this article. On the drop down menu, tap on "Blocked users"